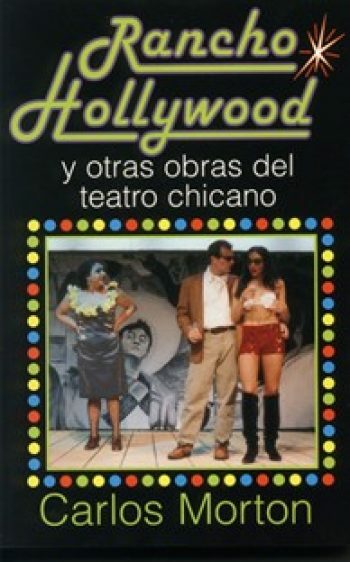 The first Spanish-language theater collection by the celebrated Chicano playwright. Here for the first time are collected in Spanish three of the best-known plays of Carlos Morton, one of the most celebrated and widely produced Hispanic-American playwrights living today. Rancho Hollywood: Sueño de California (translated by Iona Weissberg) pointedly satirizes film stereotypes of Latinos. Johnny Tenorio: Acto teatral chicano (translated by Eduardo Rodríguez Solís) places the centuries-old Don Juan legend into a contemporary Chicano framework. And El Jardín (translated by Manuel Martin, Jr.) presents nothing less than a comic riff on the biblical creation story, this time featuring Adán and Eva. Generous, full-page illustrations throughout the text, taken from successful productions, make this volume not only a necessity for theater students and professionals, but a delight for all lovers of the Hispanic stage—or anyone who enjoys a sly laugh. Born in Chicago in 1947, Carlos Morton is today a professor of drama at the University of California at Riverside. His plays, which have been produced internationally, also include the drama The Many Deaths of Danny Rosales.